Sainsbury's has confirmed it has made a £1.4bn offer to take over the ownership of Argos following Steinhoff's dramatic exit just hours ago. Sainsbury's announced its intentions at the eleventh hour before the Takeover Panel's 5pm decision deadline. It said its offer hoped to "create a leading food and non-food retailer of choice for customers, building on the strong heritage of both the Sainsbury's and HRG businesses whose brands are renowned for trust, quality, value and customer service." It also said it would optimise the use of both Sainbury's and HRG's existing combined retail space, adding: "The combined group will have attractively located stores across the UK and Ireland, with an enhanced supply and delivery network." Sainsbury's said Home Retail Group shareholders will be entitled to 0.321 Sainsbury's shares and 55.0 pence in cash. In addition, Home Retail Group shareholders will each receive a special dividend of 27.8 pence per share, it said. Importantly, that special dividend will only be paid if Home Retail Group pays it before the Sainsbury's offer becomes unconditional. That special dividend is comprised of 25.0 pence per share for the sale of Home Retail's Homebase chain to Wesfarmers, and a 2.8 pence dividend in lieu of a final dividend for Home Retail's financial year ended February 27, 2016. Excluding the special dividend, the offer made by Sainsbury's represents and indicative value of 145.4 pence per Home Retail Group share, valuing the chain at £1.20 billion. Including the special dividend, if paid, the offer represents and indicative value of 173.2 pence per share, valuing Home Retail Group at £1.40 billion. Home Retail Group shareholders would own around 12% of the enlarged issued share capital of the new business. Sainsbury's said Home Retail Group has not yet recommended its offer, but said it will continue to discuss the merits of the deal. 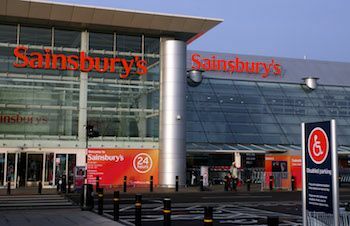 Sainsbury's said, following its due diligence on the offer, it believes it can achieve a higher level of earnings before interest, tax, depreciation and amortisation synergies in the third full year after the deal is completed, of "no less than" £160.0 million, compared to the previous estimate of only £120.0 million. It comes following the dramatic exit from main rival Steinhoff International earlier this afternoon, when it was revealed the South African company was pulling out of the race in favour of bidding for electrical firm Darty instead.